The pretty campanile of the Villa Maria Serena. 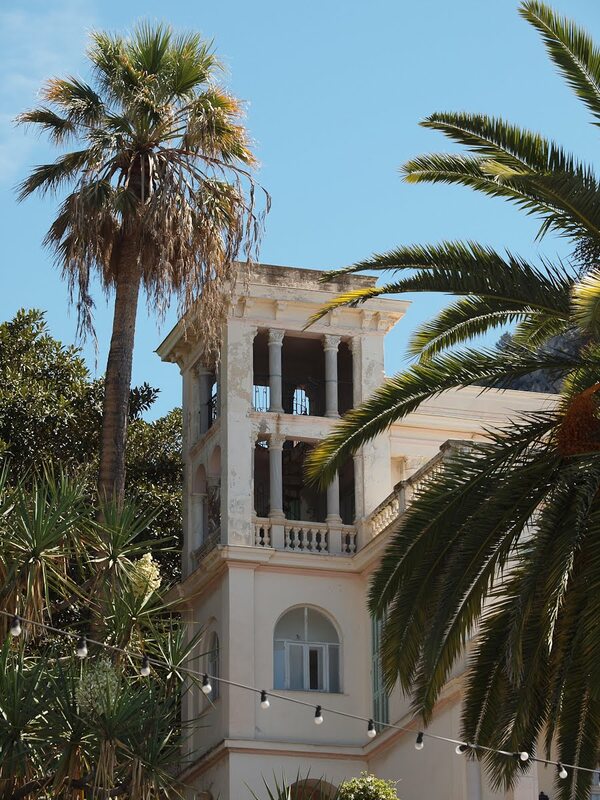 You can see in the smaller photo the spiral staircase within. 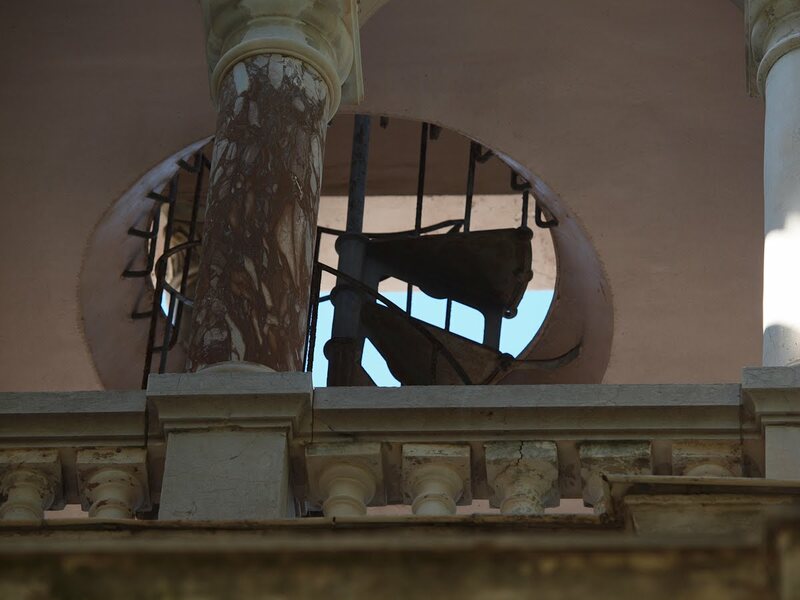 Le joli campanile de la Villa Maria Serena dont vous pouvez voir, dans la petite photo, l'escalier en colimaçon. Really beautiful! This garden looks like amazing place. I wonder how it looks at night with those lights sparkling. I've learned a new word: campanile. thank you.